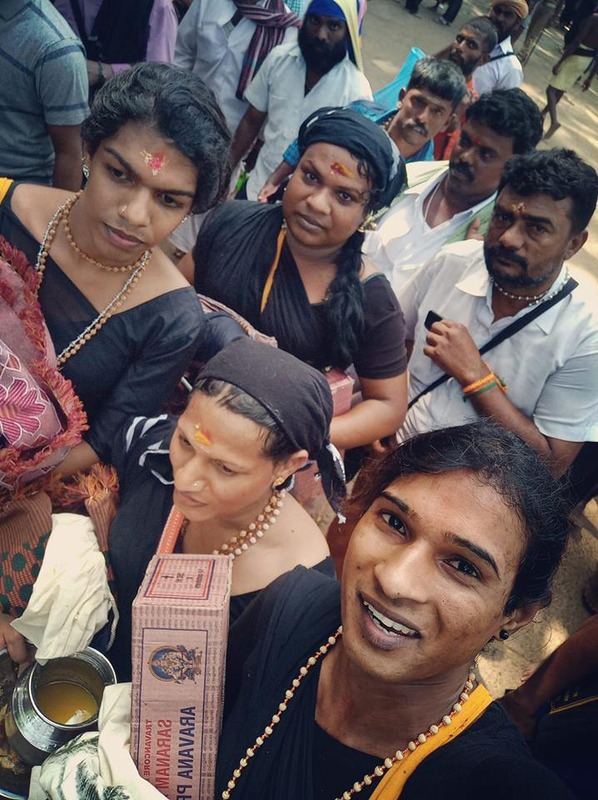 According to sources after much commotion over their entry into Sabarimala temple on Sunday, the four transgender women Anannyah, Renjumol, Thripthi and Avanthika finally climbed the hill and offered prayers at the shrine on Tuesday. Meanwhile dressed like any other woman Ayyappa devotee, the four wore a black saree, carried the irumudikettu (bag of holy offerings) and climbed the hill amid police protection, headed by Manoj Abraham IG. Reportedly the four Trans women were turned away from Sabarimala by Erumely police, although there are no restrictions on transgender persons conducting darshan at the temple, legally and traditionally. Earlier on Monday morning, the group first met Hemachandran IPS, the officer responsible for the affairs at Sabarimala, as well as retired Justices S Sirijagan and PR Raman, the panel appointed by the Kerala High Court to monitor the pilgrimage in Sabarimala. Moreover after they found that there were no issues in transgender persons visiting Sabarimala, the Trans women submitted a request to Kottayam SP Harishankar IPS, and later met Manoj Abraham and Anilkanth IPS. As per report finally, the four Trans women were granted permission and police protection to climb the Sabarimala hill shrine.